Open, permissionless, distributed blockchain systems such as the digital currency platforms Bitcoin and Ethereum are paradigm-shifting technologies that often raise more questions than they answer. This is especially true in cases where use of the technology intersects with the law, which by its nature has difficulty keeping up with fast-paced innovation. As a result, legal gray areas have emerged that force potential digital currency entrepreneurs to navigate a murky and uncertain regulatory environment—an expensive and time consuming prospect that cools growth in the sector. Coin Center is a Washington, D.C. based think tank that studies these questions, develops sound policy answers and advocates for solutions. Its goal is to help government foster an inviting environment for open blockchain development. Through this work, we have developed a keen understanding of the key regulatory issues looming over open blockchains. These are the areas on which Coin Center has been focusing. There’s no centralized ledger keeper in a digital currency, but just because there’s no “Bank of Bitcoin” doesn’t mean that bitcoin holders are always safe from fraud or theft. Some companies may help their users buy or sell bitcoin and they may also secure the cryptographic keys to their digital currency balances. Possession of sufficient cryptographic keys to spend someone else’s funds is functionally similar to keeping custody of someone else’s valuables, and if a business walks and quacks like a financial-custodial duck, it will be regulated as such. The tricky part for policymakers is how to describe that “duck” in terms of law and regulation: How to differentiate between the set of activities that are custodial (generating risks for consumers) and therefore regulated, and the set of non-custodial activities (activities essential to the technology but free from consumer risk) that should remain unregulated? If that distinction is not clear, the law could be over- or under-inclusive. Some consumers could be left unprotected and innovation could be chilled by burdensome but unnecessary requirements. The Bank Secrecy Act and the Patriot Act mandate that money services businesses record and report certain data about their users to law enforcement. Dealing with bitcoins instead of dollars doesn’t save a company or its customers from the need to comply with these surveillance requirements. But what about use cases, such as potential Internet of Things applications, which have nothing to do with transferring value? There are real world examples of systems that run on this technology that do so by regularly making miniscule transactions worth only the smallest fraction of a cent. A miscalibrated regulatory approach could encompass those as well, unintentionally requiring a tiny startup to develop bank-level compliance when dealing with pennies’ worth of funds. Financial privacy is an umbrella term for both data security and privacy. We can think of security as the ability to hide information from all comers and privacy as the ability to shape how we selectively reveal information and how it is used after revelation. Poor security and poor privacy have costs: identity theft, merchant compliance costs, chilling effects on speech and cloaking costs from user self-help. Digital currencies, such as bitcoin, can be used to improve security and grant users more granular control over when and how they choose to identify themselves. Perhaps the most exciting aspect of digital currencies and distributed computing networks is that they are entirely open for experimentation. There’s no patent or copyright to license, no university or corporation from which to seek a job, no exclusive membership fee to pay. Anyone with a computer and an internet connection can develop and share their own currency, financial contracts and strategies and vision of the future. These technologies are platforms, not products. They are software standards and shared networks whose purpose is to enable group computing. Like the PC and the internet, they are not useful in isolation, but rather as a means for consumers to access applications and a means for developers to design and share new applications, just as word processing applications make the PC platform useful and websites make the internet useful. Open blockchains have the potential to cut across all manners of industry and regulatory regimes. At the moment it is their financial applications that are generating the most interest and therefore where most the regulatory scrutiny is directed. Coin Center works to ensure that those regulators understand this technology and develop policies that meet their objectives without inadvertently quashing uses in other verticals. And as those uses develop, they will no doubt bring about regulatory interest of their own. 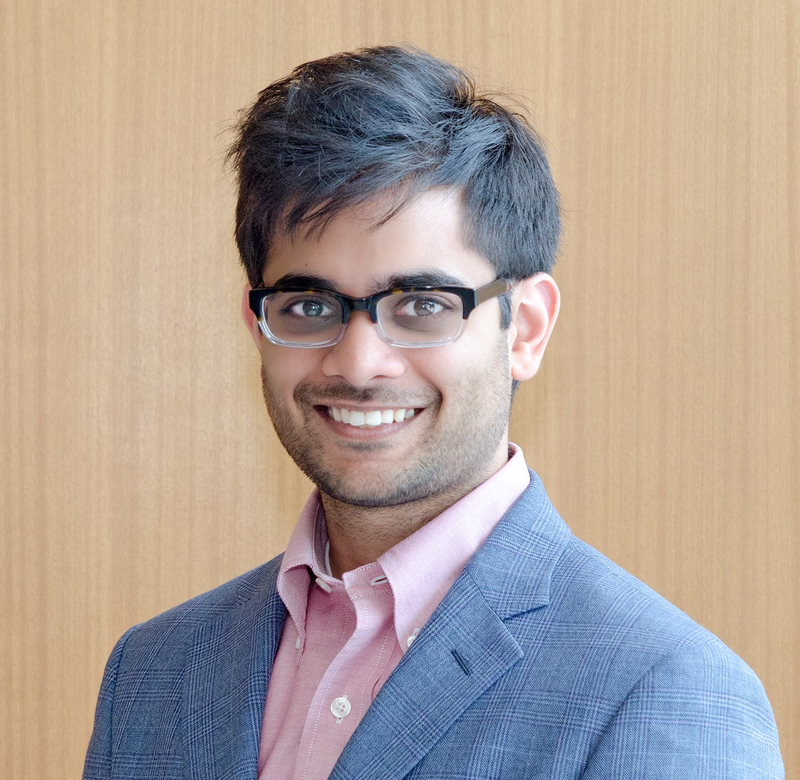 Neeraj Agrawal is the director of communications at Coin Center, the leading non≠profit research and advocacy center focused on the public policy issues facing cryptocurrency and decentralized computing technologies like Bitcoin and Ethereum. Agrawal leads the organization's marketing and public relations programs. Previously, he worked on global internet infrastructure and governance issues for a major technology company. He is a graduate of Syracuse University and is currently based in Washington, D.C.